This one’s sort of journal-y; wanting to remember some special thoughts, moments, feelings, etc. I was plagued by this damn rooster that one of my neighbors has, crowing all hours of the night and day. I live in a residential neighborhood and don’t understand how some people can be so unconcerned about others’ welfare . It was totally messing with my sleep. I was wondering what was to become of me; wondering how anyone else was able to sleep… and how they were able to put up with it! While working outside one day, I saw some huge snowflakes falling on a sunny afternoon, as steam rose all around. I wanted to etch down the beauty of the moment. A friend was staying with me, whom had recently returned to Seattle after living in Oklahoma. He could put on the most charming, hilarious “dumb hick” accent or drawl to emphasize a point. It was genius. I was thinking about my own Midwest roots. I’d recently read some books about the Beat Writers and was longing for a trip out “on the road”. I was feeling stuck in one place and wondering what I should do with all my books – as a possible first step toward the footloose. Finally, I’d been enjoying the music of Little Walter, who famously had a hit song called “Juke”. 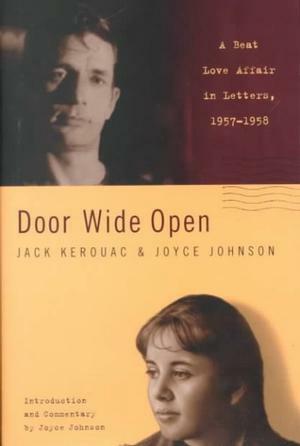 “Door Wide Open: A Beat Love Affair In Letters” by Jack Kerouac and Joyce Johnson. A good book. I love her narrative writing style and her kindly thoughts about Kerouac. I also enjoyed her book “Minor Characters”. 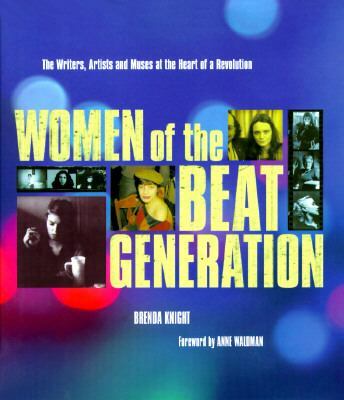 “Women of the Beat generation : The Writers, Artists, and Muses at the Heart of a Revolution” by Brenda Knight. Another recommended book! 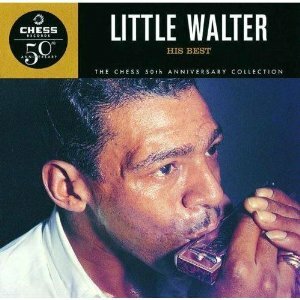 “Little Walter, His Best: The Chess 50th Anniversary Collection”. He recorded with Muddy Waters and under his own name. He’s depicted in the film “Cadillac Records” (about the Chess Record Company) as quite a colorful character – shooting another harpist that usurped his name! Eric Clapton in his autobiography says that he was his “favorite harmonica player”; “one of the most soulful singers I have ever heard”; and cites him near the top of his list of musical heroes and inspirations. He was inducted into the The Rock and Roll Hall of Fame in 2008, making him the first and only artist ever to be inducted specifically for his work as a harmonica player. Personally, I think the harmonica is one of the most under-rated musical instruments. Its textures have added so much to the music I love. A lot of people visit my blog while searching the web for links to Little Walter. So if you enjoyed what you read here, or have other interesting stories, please leave a comment! I borrowed this book from the Seattle Public Library. Nelson Algren wrote “A Walk On the Wild Side” and “The Man With the Golden Arm”. Algren reveled in the seamy side: the underdogs, the cast-offs, the rejects, the unwanted, the poor, the dispossessed, etc. Algren led the photographer through the Chicago that he frequented, commenting on various locations and the denizens. Like the great photographs of the Depression era, these photographs evoke people’s humanity. Like Algren’s writing, they portray humanity in all its glorious vagaries. I love stuff like this, am inspired by it. This is social commentary at its finest. 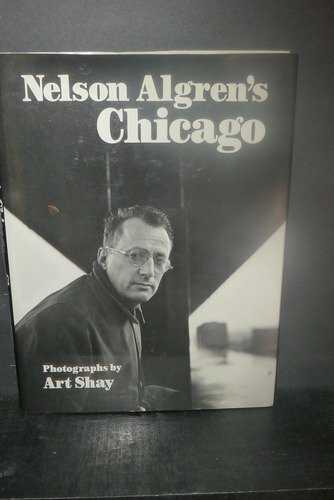 The photographer has a new book out entitled “Chicago’s Nelson Algren”. I imagine it also would be very good.